Article by Vanessa Fox O'Loughlin © 15 June 2011 Vanessa O'Loughlin . Posted in the Magazine ( · Crime Fiction & True Crime ). Elegant in black trousers, a crisp white shirt and soft black jacket, everything about La Plante is business-like, no nonsense and extremely stylish. Wearing a striking pewter cat shaped brooch, just like a cat, she curled gracefully in an easy chair. 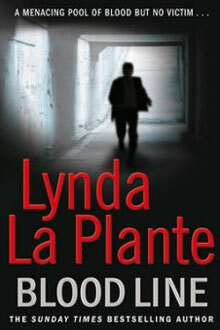 Relaxed, in control and at the very top of her game, Lynda La Plante told me exactly why writing was her passion. It was while working as an actress on The Gentle Touch, that La Plante got her first break as a writer – working with Jill Gascoine she had a scene that both of them found impossible to deliver without breaking into laughter – La Plante’s character was called Juanita, and every time she tried to say “Hello, I’m Juanita” they both, in stage speak, corpsed. Despite their pleas, the script writer wouldn’t change the name of the character and off set, La Plante said to Gascoine, “I’d love to have a go at writing…” Gascoine’s response: “So why don’t you? Give it a go…” It was all the encouragement La Plante needed to approach The Gentle Touch script editor with four ideas fresh new ideas. A few months later three of the ideas were returned, rejected. But across the fourth, someone had written (and she still doesn’t know who) ‘this is brilliant’. That fourth treatment became the hit show Widows, and La Plante was on the scene. La Plante told me that she really doesn’t enjoy soaps, she doesn’t want to share the pain of the people portrayed, of hopeless lives, but she iscompletely hooked by true crime shows. La Plante, as it later became clear when we spoke about the stresses and strains of running a production company, is a woman who looks for, and finds, solutions. And what better place to follow the challenge of a mystery and discover a solution, than the world of crime? For La Plante, plot and character come together, are intrinsically intertwined. And many of her characters are based on the people she meets as she conducts her research. She remembers visiting a crime scene with the Metropolitan Police – a young officer, recently graduated, stumbled out of the white forensic tent covering the body that had been discovered, and vomited behind a tree. The officer accompanying La Plante scowled: ‘she won’t last’, (delivered by La Plante is a pitch perfect ‘seasoned police officer’ voice). But it was this girl with all her strengths and vulnerabilities that became Anna Travis, who in La Plante’s latest book Blood Line is now a DCI. While La Plante is a fast, organic writer who knows the beginning, middle and end of her story, she doesn’t plot meticulously – she shakes her head as she says, “I don’t write by numbers”. For her Blood Line almost wrote itself – until she got to Chapter Four. At that point she had her characters in place, a large pool of blood on the floor, but she didn’t want to reveal the identity of the victim and suddenly realised that DNA analysis on the blood would blow her plot wide open. La Plante is very clear when she discusses research – she says “a writer must always go to source. If you want to find out something you go to source. If you want to know what a man serving life for murder is like, call your nearest prison and register as a visitor.” She says, “That’s what’s so exciting as a writer, if you put yourself out there, you come home with the goodies”. So, following her own advice, La Plante contacted a DNA specialist to find out how she could fudge the DNA result from her pool of blood, she remembers “I said, can I wash it away with bleach, with a chemical?” The specialist just shook her head, saying “With that quantity of blood, it would have soaked through the carpet, it would have seeped into the floorboards – I can get DNA from one pinhead full of blood.” But pursuing the conversation, a chance remark gave La Plante the answer she was looking for, and a whole new twist to the Blood Line plot. Blood Line takes DCI Anna Travis from her home station of Hounslow to Newquay in Cornwall and into a web of intrigue and half truths. Like Travis, La Plante doesn’t suffer fools gladly, but she is fascinated by liars. Privy to a police video tape of a series of parents making impassioned appeals for missing children, she was in full character mode as she described one mother who cried incessantly, the tears flooding down her face. La Plante, as an experienced actress quickly realised that even when you are playing a scene of deep distress, it is instinctive to wipe your face, to clear away the tears. As La Plante said, it is the body language, the eye contact that gives a liar away, and in this instance, the mother was overplaying her part. La Plante says she has been rejected many times, indeed, she says that Granada weren’t interested in Prime Suspect when she first pitched it. The script was sent out with a batch of others to TV companies around the UK, and as each one came back saying they loved it, Granada got more interested. Her last tip? If you are going to interview a multiple murder in jail, don’t take a notepad, pen or a tape recorder. They can never wait to tell you how brilliant they are, but interruptions break their concentration…. And the icing on a rather amazing cake? As Lynda and I headed out of the Shelbourne Hotel (her to an enormous waiting Crysler limousine, me to the DART), we continued our conversation and I explained that writing.ie was aimed at all types of writers – from fiction writers to script and screen writers. The Queen of Crime’s eye’s lit up, “I can come and do a lecture for you,” she said. Bowled, over, what could I say but “fabulous!” Watch this space….